What happens when celebrity power couples vacation in the same city? They link up for dinner, of course. Europe is a hot destination right now for celebrity “baecations,” and the Italian Riviera is known for celebrity spottings throughout the summer. 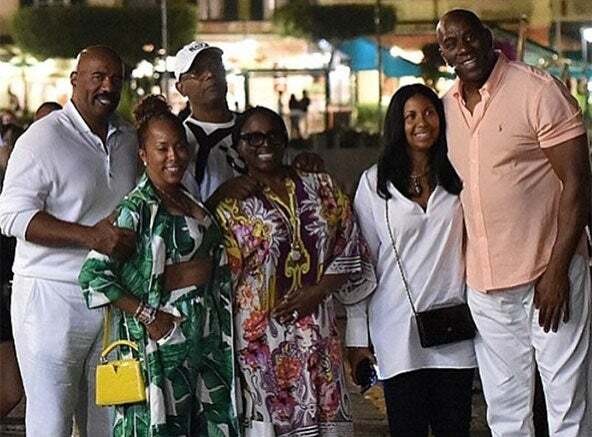 During the holiday weekend, Steve Harvey and his wife Marjorie Harvey along with Magic and Cookie Johnson, John and Vicki Palmar, and Samuel L. Jackson and his wife LaTanya Richardson were seen enjoying dining together. The powerhouse couples all happen to be vacationing in Portofino, Italy for the holidays and met up for dinner at the famous Ristorante Puny. Could this be any sweeter?